Having won basically all of the Tony Awards and finally making her West End debut, we thought it was time to have a closer look at Audra McDonald’s incredible work and career. If you’ve ever wanted to see a true Broadway diva on stage in London, you can with our exclusive ticket Lottery to see Audra in Lady Day at Emerson’s Bar and Grill. Audra got her start in the Good Company Players, citing the director Dan Pessano as one of the figures who changed her life, someone she would later go on to thank for her success. After early experiences on stage, Audra and her operatic soprano were accepted to Juilliard, the iconic school of dance, drama and music, and graduated in 1993. Time would prove that she was right to do so – by the time she was just 28, Audra had won three Tony Awards! Her astonishing work in Carousel, Master Class, and Ragtime earned her the statues, making her one of four actresses ever to win so many in a five year period. Here’s Audra accepting her first ever Tony. Riding the success of her early Tony wins, Audra moved into TV, appearing in the HBO drama Wit with Emma Thompson, based on the play of the same name by Margaret Edson. For her heartfelt portrayal of a nurse aiding a professor through her struggle with cancer, Audra was nominated for her first Emmy award. “Some of the closet people in my life, that have carried me through the roughest times in my life, have been members of the LGBT+ community, starting from one of my closest friends that I met when I was 11-years-old. In a way that they’ve always been there for me, carried me and onward, how could I not turn around and do the same for them in any way I can? Especially when I see the community being disenfranchised and their rights or their voices not being heard. Photo Credit: Adam Bouska. Audra and her husband, performer Will Swenson. If you’re a fan of James Corden’s Carpool Karaoke, you will have seen Audra appear alongside Lin-Manuel Miranda, Jesse Tyler Ferguson and Jane Krakowski for a Broadway special. The group sing “Seasons of Love” from Rent, “Can’t Take My Eyes Off Of You” from Jersey Boys and “One Day More” from Les Misérables and we love every second of it. Now, Audra makes her West End debut as Billie Holiday in Lady Day at Emerson’s Bar and Grill. The show is based on Holiday’s Philadelphia performance in 1959, just a few months prior to her death and sees her perform her iconic songs and tell personal stories from her life. 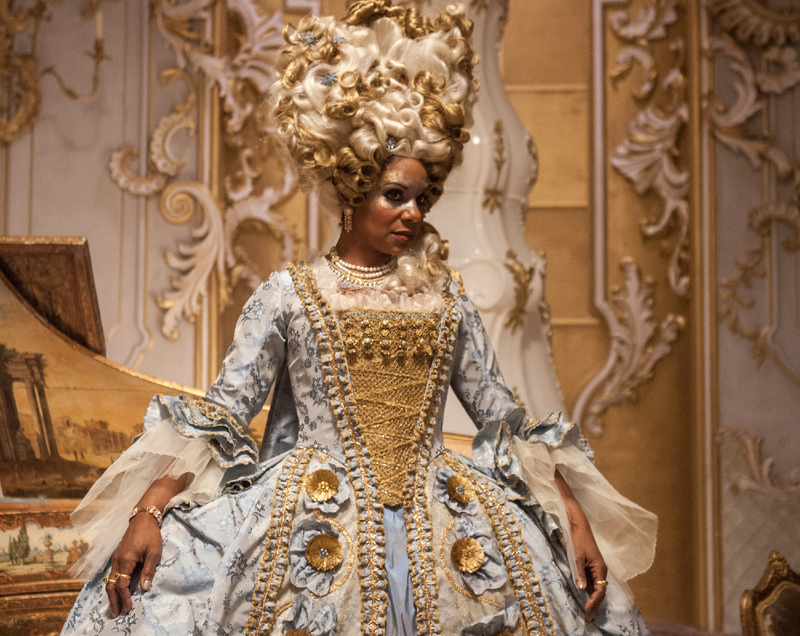 Having been previously on Broadway, as was expected, the show earned Audra her sixth Tony award – damn, it must be hard to be in a category with Audra. 20 years after her first ever win, she was a record-winning, trophy snatching superstar! Her moving acceptance speech thanked the incredible women who inspired her work, check it out. Audra’s career has proved that when you want something, if you work hard, be nice and defy expectations, you could bring your dream to life. You can see Audra in Lady Day at Emerson’s Bar and Grill for £20 with exclusive Lottery tickets. Want more? Pride Shows: 8 Iconic LGBTQ Plays And Musicals.